BEIJING — Authorities are shutting down an eastern China industrial park after 78 people were killed last month by a chemical explosion, the city government said Friday. 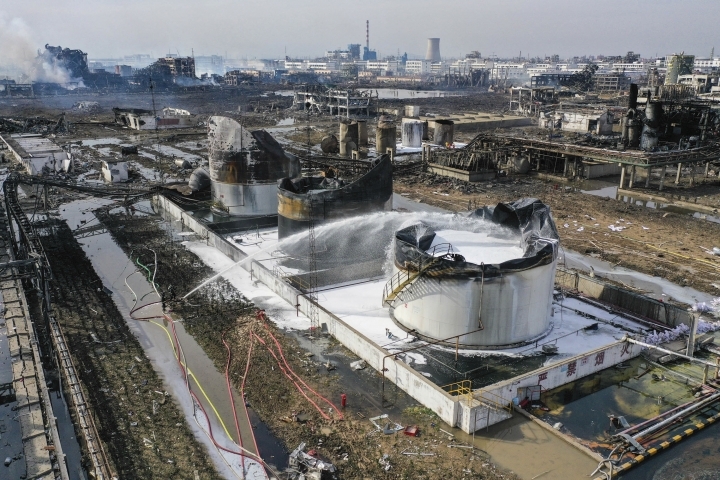 Local departments have met to discuss how to eliminate chemical plants with low safety standards and severe pollution issues, Yancheng city said in an online statement, noting that the site of last month's deadly blast — Xiangshui Chemical Industrial Park — will be completely shut down. In 2017, an explosion that killed 10 at a nearby plant prompted the State Administration of Work Safety to dispatch inspectors. 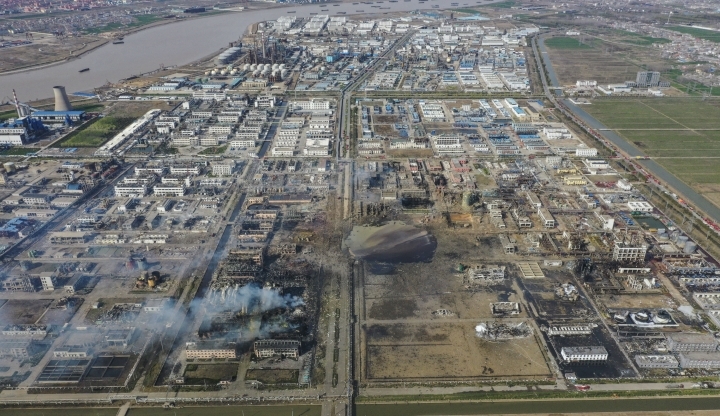 They discovered over 200 safety hazards at Yancheng chemical factories, including 13 at the Tianjiayi plant where the most recent explosion occurred. The blast ultimately claimed 78 lives and left dozens with severe injuries, according to state broadcaster CCTV. The government will support the construction of "No-Chemical Zones" and raise standards for those regions that do house chemical enterprises, the Yancheng city statement said. Last month's explosion "used blood to teach us a lesson," it said. China experiences frequent industrial accidents despite orders from the central government to improve safety at factories, power plants and mines. Among the worst accidents was a massive 2015 explosion at a chemical warehouse in the port city of Tianjin that killed 173 people, most of them firefighters and police officers. That blast was blamed on illegal construction and unsafe storage of volatile materials. Business Vantage Views is a dedicated online news network that brings to you the latest state of business and finance so that you can make the best judgment on investment and future planning. Copyright © 2015 - 2019 Business Vantage Views. All Rights Reserved.